But this great outdoor living opportunity is only one side of Tulum’s story. Another big plus of this area—right at the bottom of the Ruta Riviera Maya that runs all the way down from Cancún—is that the business opportunities are endless. If you’re considering leaving your job behind to go overseas, here in Tulum you can continue to make money and support your new life at the beach. Canadian expat Michelle Bradshaw, who moved here six years ago, continues to work part time, long distance for her old Calgary-based company. But she’s also tapped into the opportunities in town to boost her income. She started by offering a house-sitting service, then later trained as a yoga instructor. Today, she leads her own yoga classes. Ray, who I mentioned earlier, runs a real estate and property-management business in town. Every day, he’s frustrated that he can’t tap into more of the opportunities he sees all around. One of the big drawbacks of Tulum, he says, is that there is a lack of services… and, expecially, good services. You can’t buy furniture here, for example—or even small furnishings and pictures to hang on your walls. Yet there’s a lot of home and apartment construction going on. Set up a furniture or interior-design shop here, and you’d have a steady flow of clients. Tourism is another big opportunity for expats to tap into. Small businesses like bicycle rental, dive shops, and bars and restaurants would thrive here. 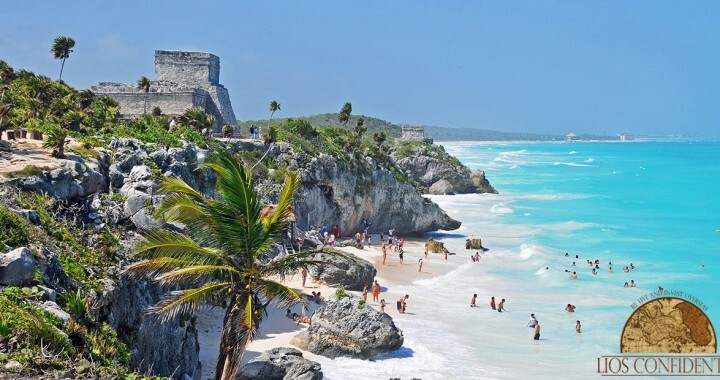 Because of its position at the bottom of the Riviera Maya, Tulum is the last place to be developed on this stretch of coast. “Things get done… but it may take some time. The fast city pace is not here. It’s very relaxed and very comfortable. We’ll be on the ground in Tulum this September, with our full team of Mexico experts and expats, for our first-ever Live and Invest in Mexico Conference. Over three days, from our base at the Luxury Bahia Sian Ka’an Resort, we’ll walk you through everything you need to know to act on the opportunities in Tulum—as well as in a handful of other top living-and-investing opportunities we’ve identified in Mexico. At time of this writing, we still have a number of VIP spots left… but I don’t expect them to last long. You can register—and get full details of the event—here. Posted in Live And Invest Overseas Confidential and tagged Business In Tulum Mexico, Opportunities In Tulum Mexico.